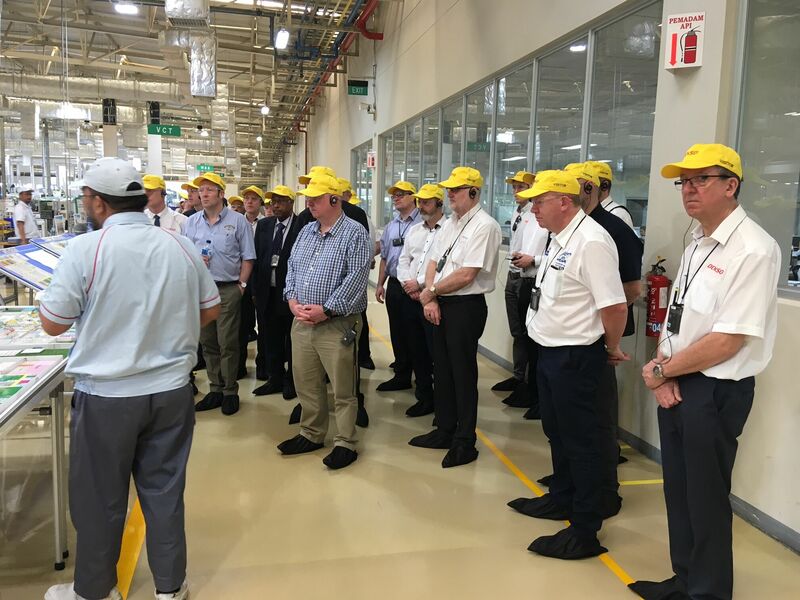 Denso hosted a trip to Indonesia last month, giving 19 distributors the opportunity to experience the production processes of the Japanese aftermarket expert’s products. Built just five years ago, the Fajar plant boasts an array of modern facilities, and the latest production techniques to deliver its Twin Tip Spark Plug technology as well as other innovations. Guests were shown various stages of the production processes and the strict quality control implemented after each step. The customers were invited after demonstrating loyalty to Denso products and meeting their targets during a six month incentive promotion that ended in December 2018. One of three Denso manufacturing sites in Jakarta, the plant produces 13 product lines including Spark Plugs, O2 sensors, ECUs, Starters and Alternators. Fatiha Laauich, Marketing Communications Manager at Denso Automotive UK, commented: “We really love rewarding our customers and giving them a genuinely insightful experience.